Currently, MP3 Cutter Joiner Free has over ten million downloads, and the number is still rising. If you are not convinced that this is the best software to cut and join MP3s, read on to the end of this guide, to learn how to cut MP3 files in a few easy steps. There are many MP3 editors in the market, though their features can hardly offer a solution to your problems. Here is what you can expect from MP3 Cutter Joiner Free. MP3 Cutter Joiner Free is an ideal MP3 splitter software for cutting audio files for use in your next presentation, movie, or exhibition. The software allows you to cut and paste a section of the MP3 to replay after the selected time. 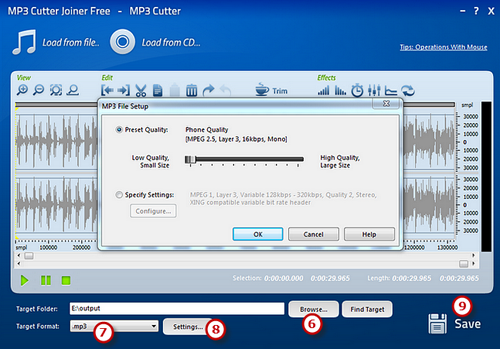 MP3 Cutter Joiner Free has an advanced CD Ripper allowing you to load the MP3 and customize your favorite parts. You can transfer it to your Android or iPhone for later use as a ringtone or post it on YouTube of your website. MP3 Cutter Joiner Free supports a comprehensive range of formats supported by the popular multimedia devices. This allows you to customize your resulting file with gapless playback, custom pauses, and a whole lot more. 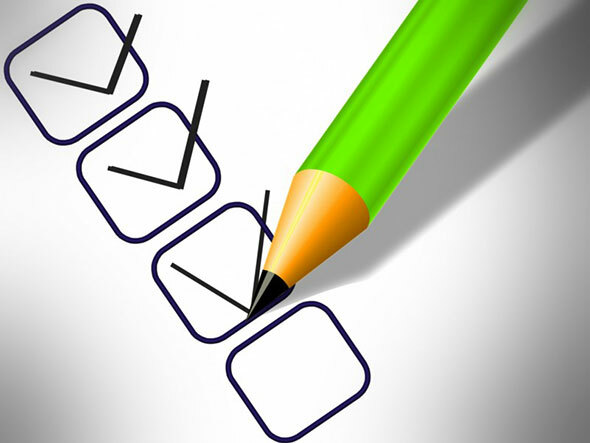 It is a convenient software if you wish to arrange and rearrange into your preferred order. The software comes with a wide range of audio effects and editing options that allow you to make artistic music by customizing your MP3 files. You can add an echo effect, fade in and fade out, increase and decrease the volume, mix the cut part with another audio file. You can see the sound since it is loads in a waveform with zooming options. This makes it easy to apply all the effect and editing operations such as cutting, pasting, copying, deleting, trimming, and so much more. This way you eliminate the mistakes common with editing the MP3 other software. Q: I have had the software for a few days now, but I cannot get to get the editing right. Every time I save the new file, the effects feel off, and this makes them unappealing. What can I do to rectify this problem? A: This is not a big issue, but MP3 Cutter Joiner Free has an option where you can preview the audio effects in real time. The software allows you to pre-listen to the part or the entire composition as soon as you apply the effects. This is possible without rendering the final output, and you can undo or redo the actions until you are satisfied. You can choose your preferred output by using frequently used presets and detailed parameter settings such as the number of channels, frequency, and bitrates, just to name a few. How to cut MP3 files? 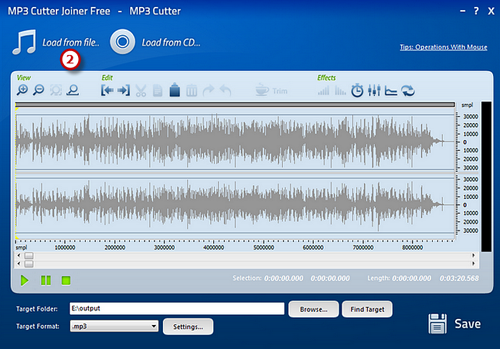 Download our free mp3 cutter software first. There are many sites that you can download the software, but we cannot give an assurance that you will download a clean version. We have had claims where users are downloading the software from third party websites claiming that the download included malware. Ensure to download MP3 Cutter Joiner Free here. The installation process is easy and straightforward, and it creates a desktop shortcut for a quick launch. Activate the cutting option that appears as soon as you launch the software then click ‘Load from file’ or ‘Load from CD.’ No matter the location of the file, the software launches a new window with a browser that helps you to locate the file. Click ‘Open,’ and the file will appear as a waveform. 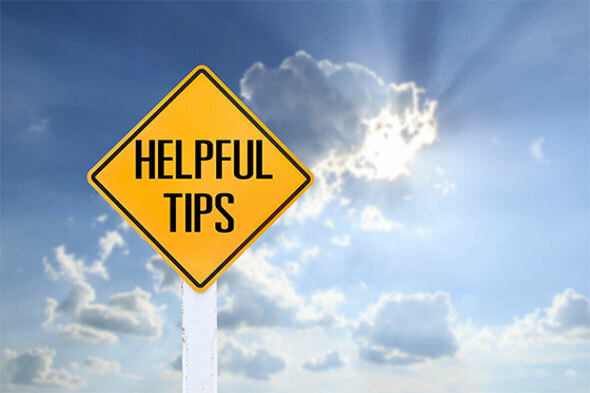 Be clear on the part you want to cut from the MP3 before you begin the cutting process to avoid any mistakes. You can do this by moving the sliders found on the top and below the waveform. You can also key in the beginning and endpoints of the section. However, most users find it easy to click the starting point then dragging the cursor to the point you want to cut. On the toolbar above the waveform, click on the ‘Scissor’ tool, and you will cut the MP3 remaining with the part you had selected. You also get other tools such as copy, trim, paste, and delete. However, you can undo and redo the operations you have carried out on the MP3. You can also add audio effects to customize the section of the MP3 that you have just cut. Click ‘Browse’ to select the folder you will save the new file. Ensure that the format is in ‘.mp3,’ though you can select from a wide selection of standard output formats from clicking on ‘Settings.’ After this, click ‘Ok’ then ‘Save’ to finish the cutting process. 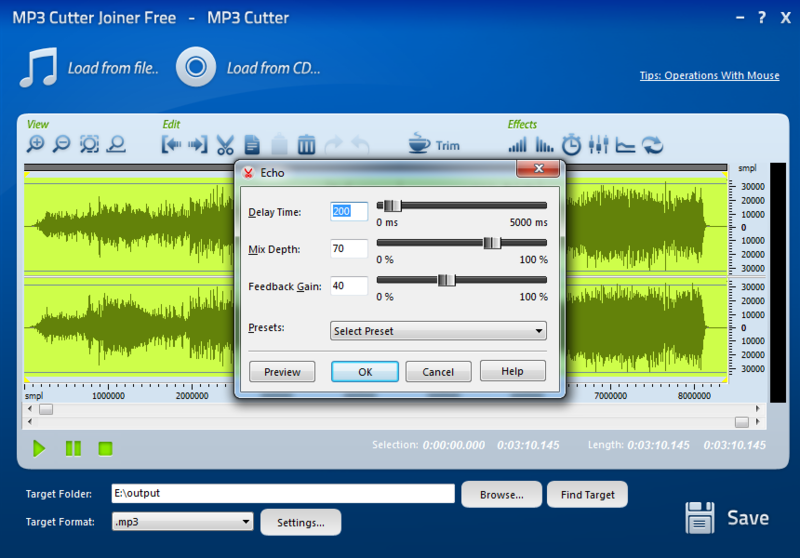 That’s how to cut MP3 files with the best free MP3 cutter sofwtare. Creating a musical masterpiece does not only require cutting out the unwanted parts. 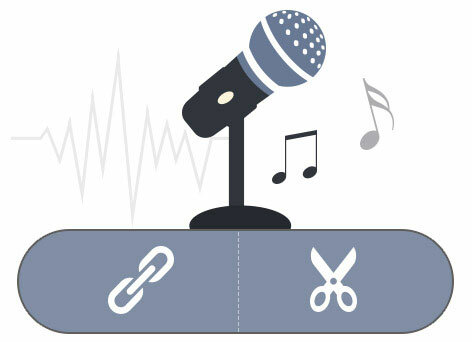 MP3 Cutter Joiner Free allows you to join and merge MP3 files to create a single MP3 file. 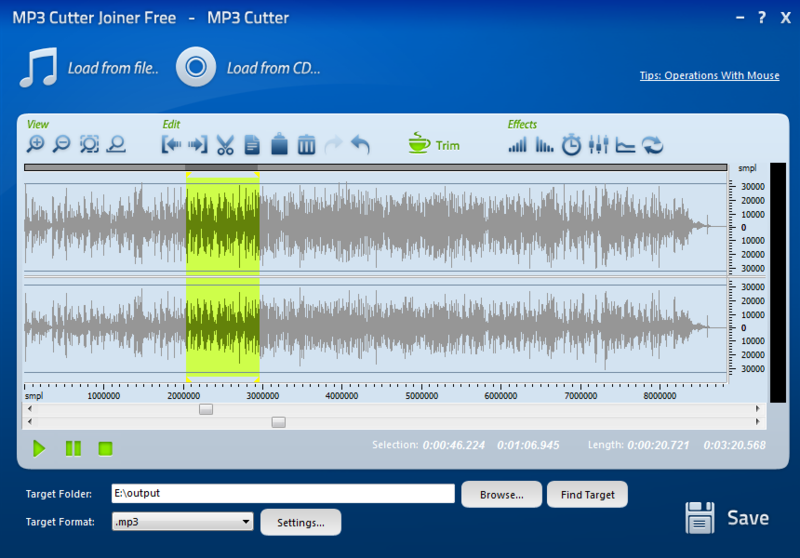 MP3 Cutter Joiner Free is one of the software with the most prominent range of editing options as well as audio effects. You get over 20 effects, and you simply have to select the part and add the effects according to your preference. You can undo and redo the functions to avoid mistakes in the new file. CD Ripper – it is a software used to convert tracks on a CD from the digital and raw CD-DA format on the CD to the formats used on a computer such as MP3, WAV, FLAC, OGG, WMV and so much more. MP3 editor – it is a software for customizing MP3 files by cutting, copying, pasting, trimming, deleting, as well as adding audio effects to the parts you want. MP3 – Refers to MPEG-1 or MPEG-2 Audio Layer III used as an audio coding format for digital audio files. For when you need to cut MP3, you cannot go wrong with choosing MP3 Cutter Joiner Free, it is the best free MP3 cutter. 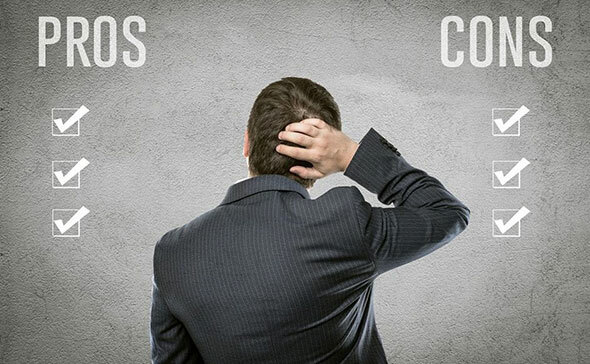 We ensure that you get the best software offering holistic solutions. Ensure to download the latest version, and look out for updates to improve your cutting experience.